• Married Abbie Lucile Landis, 1922. • Mason, a Knight of Pythias and an Elk. 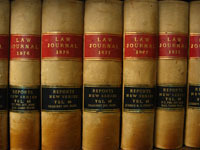 • Jan. 1910 was admitted to practice in the Supreme Court of the US.